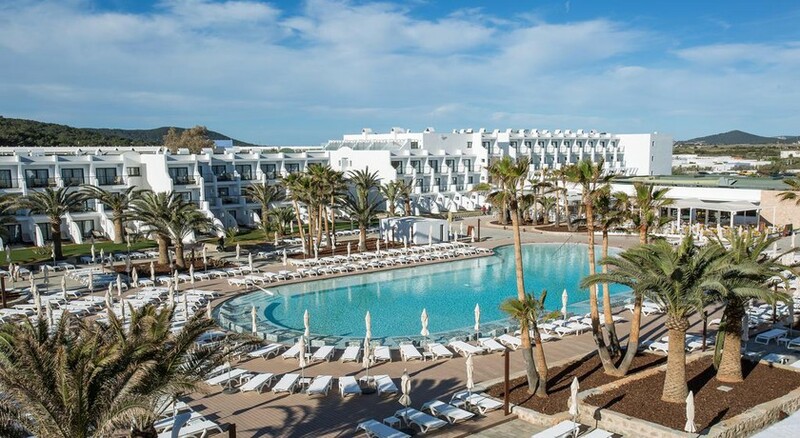 Formerly known as Fiesta Hotel Club Palm Beach, the Grand Palladium White Island Resort & Spa is a luxury beachfront property Ibiza, Spain. The closest beach, Playa d’en Bossa beach, is right outside the hotel. The property houses 4 beautiful swimming pools on its premises. The architecture and interiors of the resort have been heavily inspired by the themes of Mediterranean and contemporary style. The hotel houses 430 tastefully designed guestrooms which are equipped with amenities and facilities that ensure a luxurious and lavish stay the guests deserve. The hotel is located 4km away from the Ibiza, offering the guests an excellent opportunity to experience the life in Ibiza closely. The property also houses 6 restaurants and 4 bars on its premises. The property is also home to an exclusive upmarket spa. Grand Palladium White Island Resort & Spa is located 4.5km away from the Ibiza Airport. The nearest beach is 50m away from the property. The town of Ibiza is located at a distance of 4km from the hotel. Tourist attractions like Ushuaia Ibiza, Hï Ibiza, Aguamar Water Park, Bora Bora Ibiza, Santos Coast Club, Figueretas Beach, Ibiza Cathedral, Hard Rock Cafe Ibiza, Ses Salines Nature Reserve, Ibiza Port, Dalt Vila, Marina Botafoch, Pacha, Amnesia Ibiza, Privilege Ibiza, Es Paradis Ibiza, Illetes Beach, Café del Mar, Cala Bassa Beach and Cala Conta Beach are located within a range of 18km. Grand Palladium White Island Resort & Spa has 430 tastefully decorated guest rooms which have been designed with utmost details, incorporating architectural themes inspired by the Spanish and Mediterranean motifs. The rooms are categorised into 8 types based on various aspects and amenities. Double Room, Deluxe Double Room with Sea View, Double Room (2 Adults + 1 Child), Standard Double Room with Sea View (2 Adults + 1 Child), Superior Double Room, Deluxe Double Room (2 Adults + 1 Child), Superior Double Room (2 Adults + 2 Children) and Standard Double Room with Side Sea View are the accommodation options on offer. The rooms are equipped with air conditioning control, wireless phone, quality bed linens, quality towels, Bluetooth speakers, balcony or terrace with outdoor furniture, minibar with replacement service, desk with lamp, electronic safe (laptop size), iron and ironing board, coffee and tea maker, essential bath amenities, hair dryer, bathrobe and slippers. The rooms offer either sea view, pool view or garden view. Some of the higher-end rooms have an attached terrace and Jacuzzi. The Grand Palladium White Island Resort & Spa houses 6 restaurants and 4 bars that serve a wide range of international and local Spanish cuisines. 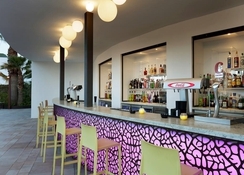 Apart from that, the bars also serve a variety of local wines, beers, signature cocktails, alcoholic and non-alcoholic beverages. 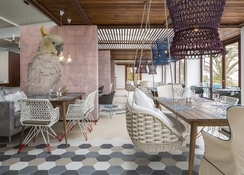 The hotel houses Sa Prunera Restaurant, La Sal Restaurant, Potofino Restaurant, Lo Dona Restaurant, IlPalazzo Restaurant, Portofino A'La Carte Restaurant, Lounge Bar, Lobby Bar, Pool Bar White Island and Pool Bar Ibiza Palace. 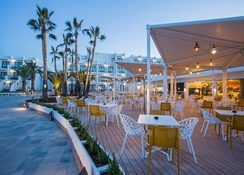 The guests can also try local restaurants and bars at Ibiza. The Grand Palladium White Island Resort & Spa houses 4 swimming pools, two for adults and 2 for kids. This serves as an excellent option for recreational opportunities. There are live performances, movie nights, themed dinners and musical evenings organised regularly at the resort where the guests can enjoy to their fullest. Various evening entertainment shows like live music performance and cultural programme and workshops are organised. The hotel has facilities for sporting activities like football, beach volleyball, basketball, among others. 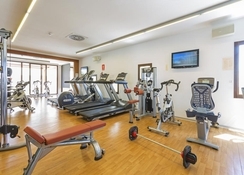 The hotel also houses a fully-equipped gym. The guests can also indulge in aqua gym, Pilates, yoga, aerobics, Zumba, archery, Thai Chi, dance etc. For children, the hotel has facilities like clubs and various outdoor and indoor games. The beach across the hotel is also an excellent spot for the guests to relax and spend some quality time sunbathing. My friend & I stayed at the Grand Palladium for 4 nights in June and absolutely loved it. 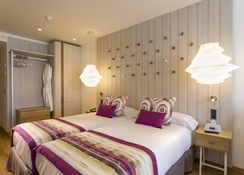 The rooms were modern and fresh, hotel staff - fantastic so helpful & friendly. The food was great and always different choices. The all inclusive alcohol wasn’t restricted to local spirits and the 24 hour bar/restaurant was a bonus. As two females we felt very safe and were in prime location to the clubs. We will definitely be coming back to this hotel and would recommend it to anyone looking for a bit of luxury from their Ibiza stay. This was mine and my wife's first holiday abroad and the hotel was superb can't faulty in anyway staff was amazing and really freindly and very helpful. Very nice but didnt have the finesse of 5 * would rate a good 4* Had pay for some drinks even though on AI, some drinks were a cheap brand. Food was good but not exceptional, waiters werent that attentive & sometimes you had to go and find one so you could actually drink wine with your meal.